Interesting selection to devote some time swimming in Baltimore. Is it not your first time here? Tell us how it went employing the Facebook comments below or contacting us directly! 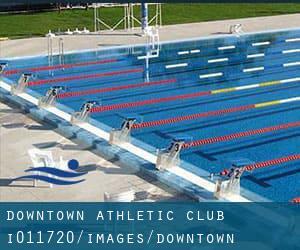 Downtown Athletic Club is only one of all the swimming pools Swimia is offering you, and its knowledge has been shared with us by a swimmer like you.Remember you'll be able to now promote Downtown Athletic Club by sharing this page together with your friends, adding comments and linking to us. This sports center provides 20 yards, 3 lanes, Indoors. For this Swimming Pool, only phone number is number here. If you believe that any from the facts is incorrect, please contact us. Aid us be better day-by-day. Updated on 2019 301 W. Lombard St. , Baltimore , MD , USA (Postal Code: 21201). Swimmers like you reported 51.5 feet x 25.75 feet, Indoors. Unfortunately we do not have the e-mail address of this Pool, but we can give you the phone number. Updated on 2019 5407 Roland Ave. , Roland Park , Baltimore , MD , USA (Postal Code: 21210). This sports center delivers 25 yards, 6 lanes, Indoors. 2600 Giles Rd. , Cherry Hill , Baltimore , MD , USA (Postal Code: 21225). Swimmers like you reported 25 yards, Indoors. Unfortunately we do not have the e-mail address of this Pool, but we can give you the phone number. 1836 Greene Tree Road , Baltimore , MD , USA (Postal Code: 21208). Among all the activities supplied by the center, in case you are thinking about swimming you might enjoy 25 yards, 5 lanes, Salt Water, Indoors. Just in case you want to get in touch with this Swimming Pool just before dropping by, we only know the phone number. 3401 Boston Street , Canton , Baltimore , MD , USA (Postal Code: 21224). Among all the activities offered by the center, for anybody who is thinking about swimming you can appreciate 25 meters, 4 lanes, Non-Chlorine Sanitized, Indoors. Just in case you wish to contact this Swimming Pool just before dropping by, we only know the phone number. 5700 Park Heights Avenue , Baltimore , MD , USA (Postal Code: 21215). Among all the activities provided by the center, when you are considering swimming you can expect to enjoy 25 yards, 6 lanes, Indoors. Just in case you want to get in touch with this Swimming Pool before dropping by, we only know the phone number. 655 President Street , Harbor East , Baltimore , MD , USA (Postal Code: 21202). Among all of the activities offered by the center, if you are considering swimming you can expect to take pleasure in 25 yards, 4 lanes, 3.5f - 4.5f depth, Non-Chlorine Sanitized, Indoors. Just in case you want to make contact with this Swimming Pool before dropping by, we only know the phone number. Updated on 2019 4701 N. Charles St. , Baltimore , MD , USA (Postal Code: 21210). Among all of the activities provided by the center, if you're enthusiastic about swimming you will enjoy 20 yards, 4 lanes, Indoors. Just in case you want to contact this Swimming Pool before dropping by, we only know the phone number. Updated on 2019 623 N. Eden St. , Baltimore , MD , USA (Postal Code: 21205). This sports center offers 20 yards, 6 lanes, Indoors. For this Swimming Pool, only phone number is number here. Updated on 2019 2821 Oakley Ave. , Baltimore , MD , USA (Postal Code: 21215). Swimmers like you reported 25 meters, Indoors. Unfortunately we do not have the email address of this Swimming Pool, but we can give you the phone number. Updated on 2019 900 E. 33rd Street , Waverly , Baltimore , MD , USA (Postal Code: 21218). Among all the activities offered by the center, when you are interested in swimming you will enjoy 25 meters, 4 lanes, Indoors. Just in case you would like to get in touch with this Pool before dropping by, we only know the phone number. 5700 Cottonworth Ave. , Mount Washington , Baltimore , MD , USA (Postal Code: 21209). Among all the activities offered by the center, for anyone who is interested in swimming you are going to enjoy Olympic size, Indoors. Just in case you need to make contact with this Swimming Pool just before dropping by, we only know the phone number. Updated on 2019 5401 Wilkens Ave. , Baltimore , MD , USA (Postal Code: 21228). Swimmers like you reported 25 yards, 8 lanes, Indoors. Unfortunately we do not have the email address of this Swimming Pool, but we can provide you with the phone number. 3835 Greenspring Ave. , Baltimore , MD , USA (Postal Code: 21211). Among all the activities offered by the center, for anybody who is interested in swimming you are going to appreciate 25 yards, 3 lanes, Indoors. Just in case you desire to contact this Swimming Pool prior to dropping by, we only know the phone number. Updated on 2019 218 N. Charles St. , Baltimore , MD , USA (Postal Code: 21201). This sports center offers 20 yards, 4 lanes, Indoors. For this Swimming Pool, only phone number is number here.